Barry Levin's hyper-realistic animal paintings display an intense and complex empathy with his subjects and a remarkable dexterity in communicating that fascination. This Connecticut-based artist has been enamored with animals all his life. Since childhood he has been breeding and caring for many types of animals. 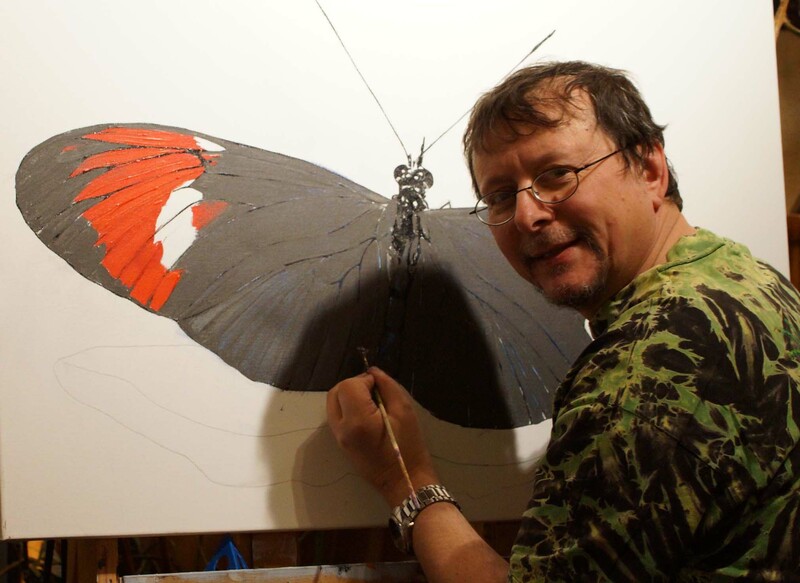 Levin received his BA in biology and art for medical illustration from Hartwick College, spent a period of time in the field of printing and then found his way back to his love for animals through personal expression in painting. "I seek out wildlife in natural locations and where resources permit..." says Levin. "I supplement that with animals wherever I can find them, including zoos, parks, private collections, conservatories, museums, backyards. I also frequent animal shows...My own extensive knowledge of animals is, of course, incorporated into all my subjects." Levin typically works large. His colors are vibrant, his design is unusual and arresting, his attention to detail is dazzling. Most distinctive is the emotion in the paintings, at once mesmerizing and hypnotic. Barry Levin is the recipient of numerous painting awards, most recently from the Richter Art Association and the Housatonic Valley Cultural Alliance.